Although sales of the iPod touch have been declining in recent years, it still remains one of the most powerful and aesthetically attractive devices of its kind on the market. With fairly powerful technical specifications, large internal storage and additional benefits like the Retina display, access to the official iOS App Store for downloading apps and games, it isn’t hard to see why Apple is so proud of their little media powerhouse. Although the device essentially does what it is intended to do, it can be a little deceiving to some as it walks the walk of the iPhone but it can’t always talk the talk. The two devices share some common ground in the fact that they both have access to Apple’s app marketplace, and both come with built-in Wi-Fi, Bluetooth and are powered by fairly regularly updated iOS software. The iPod touch even has access to native email services as well as being able to send and receive text messages through Apple’s iMessage service. 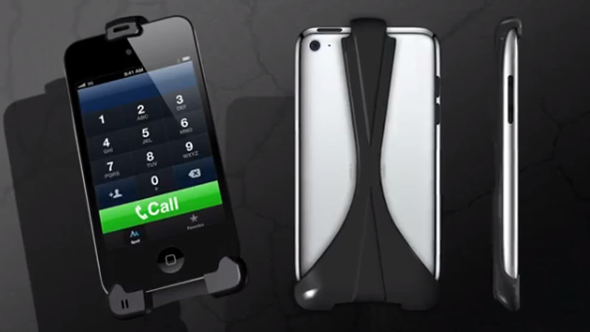 If that isn’t enough for you and you actually want to be seen in public using the iPod touch just like an iPhone, then the MorphCase might be a product that is worth looking at. Any iPod touch user should be aware that various apps exist on the App Store that offer the ability to make VoIP calls from the device, with Microsoft’s Skype service probably being one of the more widely recognized. 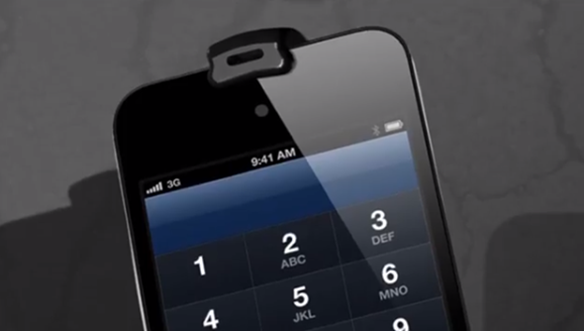 The MorphCase accessory is basically an iPod touch attachment which connects to the device and gives users the ability to use one of those VoIP apps without the need for attached headsets or shouting down the speakerphone. By making use of the device’s headphone jack, the MorphCase wraps itself around the media player and clips into place to make itself at home as a handy little attachment that lets users hold the device in their head and handle Wi-Fi based calls like a standard phone call. The beauty of the case is that it’s lightweight, isn’t hugely bulky and should be usable as an everyday accessory for the device without getting in the way. It has also been built with compatibility in mind and will therefore work with the second, third and current generation iPod touch models. If taken for what it is, then the case itself could be a nice little investment for those who love their iPod touch and regularly use apps like Skype or Fring. However, it should be noted that although it lets users talk the talk so to speak, it doesn’t actually turn the iPod touch into an iPhone. The case doesn’t house any kind of baseband or does not offer connectivity to any cellular network. It also still requires the existence of a Wi-Fi network to make calls, which means it may not allow massively portable calls until Wi-Fi is more publicly available as a free commodity. The case itself is currently seeking funding via the IndieGoGo funding platform, with the manufacturers seeking to raise $100,000 within the next 23 days to reach their goal. A pledge of $30 will make sure interested parties receive one of the first units of the MorphCase in either black or Fury white. If this is something you feel you need in your life, then head on over to indiegogo.com/morphcase and share your pledge.